In this final installment of the MOVA Technology series, we will go over two more aspects of our product design – the assembly and our patented printing process – and how these processes add to the final piece of the MOVA Creation puzzle. In order to understand how MOVA Products are designed and what makes the process noteworthy, we first must dive into how globes are traditionally designed. 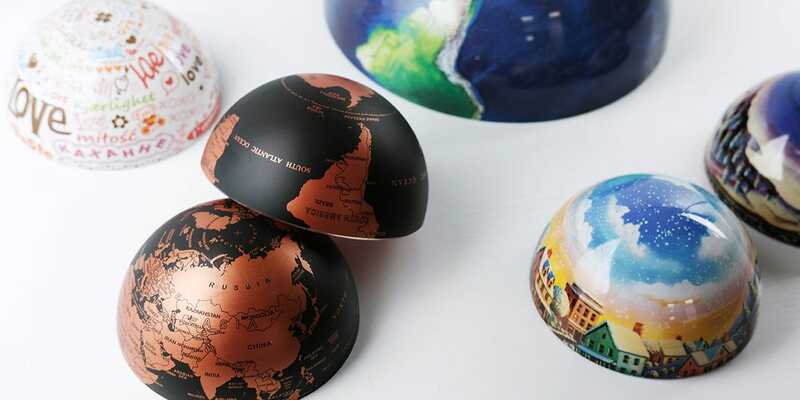 Globes are spherical by nature, so any handcrafter creating a globe must somehow put a two dimensional image, like a world map, onto a three-dimensional figure while retaining the image’s detail and fidelity. 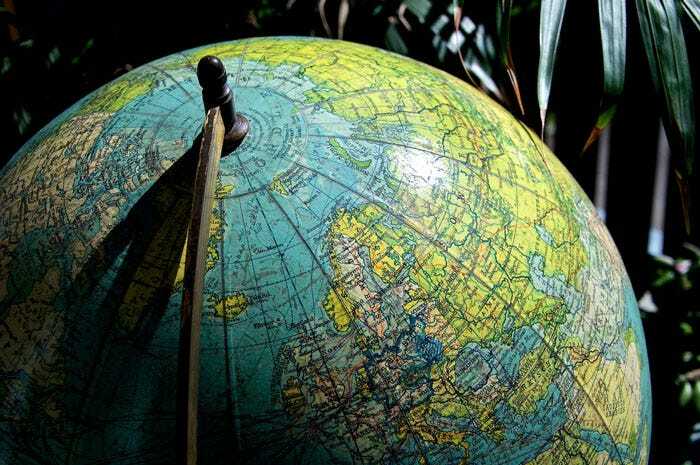 To create a globe in the traditional method, the globemaker must first sew two hemispheres together at the equator. Once assembled, the globemaker then paints or prints their desired design on a sheet which is then cut at specific angles into curved sections called gores. The globe maker then attaches the gores around the globe until the design is completed – thus, converting their flat design into a geometrical shape. There are two ways to work with gores. 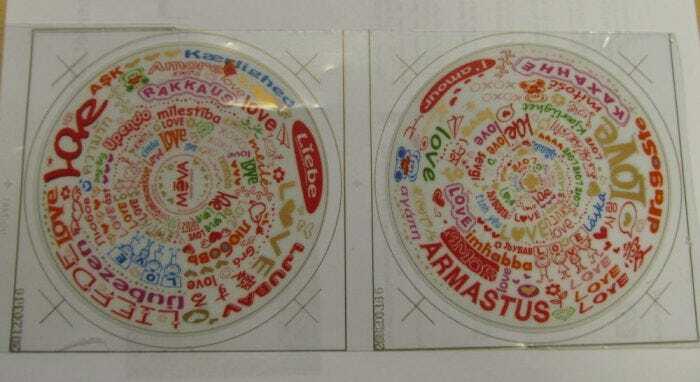 One is to cut the design into separate strips and then affix them to the globe one by one. A second method is cutting the gores angular sections (pictured above) without separating them and then attaching the whole piece to the globe. The finished result has the gores lined up from the north and south poles to reproduce the design (pictured below). Layering gores on a globe require skill, patience, and attention in order to ensure the pieces line up and provide full coverage of the map. Upon closer inspection, you’ll see that traditional globes have visible lines where each gore was cut and pasted. With MOVA Creations, we opted for an alternative method called stretch-forming. Instead of cutting a flat sheet into many sections, we create two halves of the design and stretch each half over each hemisphere, before bonding the hemispheres together. However, it’s not as easy as it sounds. When a sheet is stretched, its surface area is doubled and thus creates a number of issues. Colors can be distorted, geometrical proportions can be skewed, and cracks can develop due to stretching. While this creates many challenges, including aligning the two hemispheres at the equator, this technique makes the overall design more continuous and unobstructed compared to the gore method. 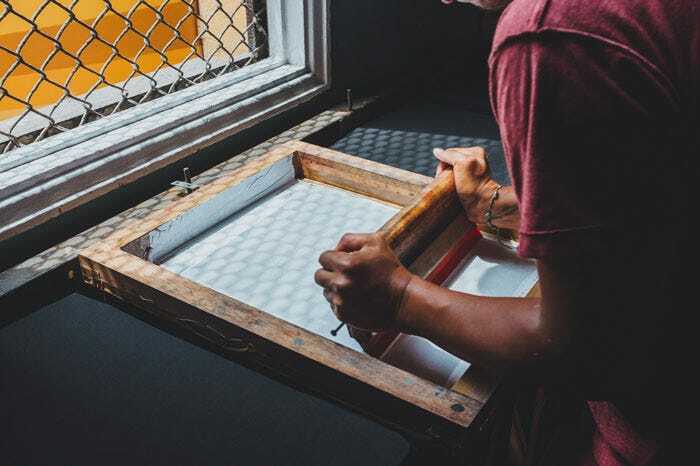 What makes our printing process different? We have to use a special ink system that includes the right combination of inks and the precise quality of ink to correct all these issues caused by stretch-forming. Color accuracy and geometric distortions have to be controlled as much as possible to create a final result that’s visually appealing and accurate. Not to mention, the sphere itself is placed in our proprietary fluid (to create the final MOVA Globe) which also has a tendency to darken the color of the graphic. One of the questions we get asked most is, “But, where are the solar cells?” Well, they’re not on the base or anywhere on the exterior because they’re actually placed behind the graphic. But wait, how does light get inside the globe then? The answer is also in the ink we use. The ink has a precise balance of translucency and opacity. This allows enough light to pass through and reach the solar cells, yet also conceal the inner workings. Our printing technique and ink system are vital to maintaining a sharp, clear image and keeping that sense of magic alive. In addition to the inks, there are different types of printing processes. We select the appropriate process based on the design we need to create. For silver designs like our Black and Silver MOVA Globe and Constellations MOVA Globe, a specific type of process is required to ensure the colors are rendered as multifaceted and shiny, not dull and flat. Through this careful assembly and printing process, MOVA Creations have the distinction of being the first products on the market where the solar cells are completely hidden from view. Our solar cells were designed to generate the most amount of energy with the least amount of light, which is then aided by the translucency of the graphics. So let’s put together how MOVA Creations work: Every MOVA Creation contains a motion mechanism. Similar to other motors, the mechanism has one part that is moving and one that is stationary. Reacting to the Earth’s magnetic field, the magnets hold the motor in place and allow the sphere inside to rotate. Solar cells supply the mechanism with energy to turn, while fluids provide a frictionless environment for the movement to be smooth and continuous. Finally, the printing process hides everything inside and allows the design to maintain clarity, sharpness, and simplicity. All of this combines to make the science of the perfect gift. If you have any other questions about the MOVA technology, let us know on Facebook or email [email protected] and we may cover them in a future blog post.